Some people like to spend their Saturdays shopping for bathroom rugs or binge-watching TV. While they’re listening to the coffeemaker gurgle, you’re already on the road, heading to your next adventure. Whether your passion is mountain biking, skiing, hiking, paddling or all of the above, you need an adventure car that can haul gear and handle rough roads. We found six of the best outdoor vehicles, from hatchbacks to rugged SUVs. From the outside, the Honda Fit hatchback may not look like an adventure car — unless you consider a Saturday Ikea run to be an adventure. (We do.) The Fit has a following among outdoor enthusiasts, however, for its surprisingly spacious interior and superior fuel efficiency. With its versatile second-row Magic Seat, the Fit can be configured to fit a bike, a surfboard or even some Ikea furniture. “Depending on the width of your handlebars and how good you are at car Tetris, chances are you can fit 2 bikes standing up, allowing 3 people to be seated in the car with bikes in,” says one cyclist. 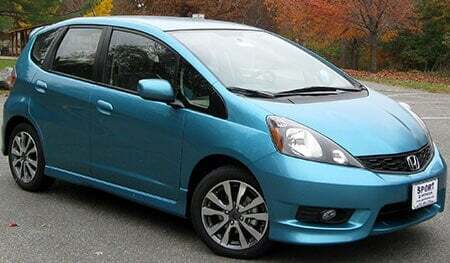 The Fit is affordable, too, starting at just $16,000. In terms of looks, the SportWagen is unapologetically a station wagon; but on the road, it “offers the maneuverability of a car and the practicality of a compact SUV,” U.S. News says. It hits all the sweet spots for an adventure car: lots of cargo space, a flexible folding back seat, all-wheel drive and a 170-hp turbocharged engine. The front seats are super-cush, to boot. 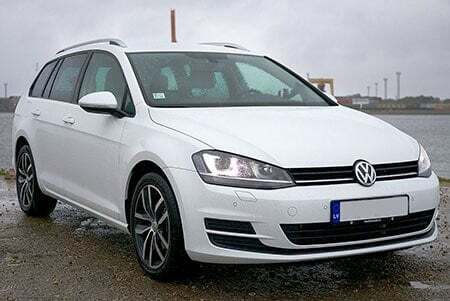 The Golf Alltrack version can handle a little off-roading or slippery roads. You knew this would be on the list of the best adventure vehicles, right? It’s almost a guarantee that you’ll see an Outback at every trailhead/kayak put-in/campground. For more than two decades, this wagon has been synonymous with outdoor adventure, and for good reason. With standard all-wheel-drive, the Outback is great in the snow and mud, has tons of room for kids, dogs and cargo, and gets great gas mileage (25/32 city/highway mpg for the 2017 model). 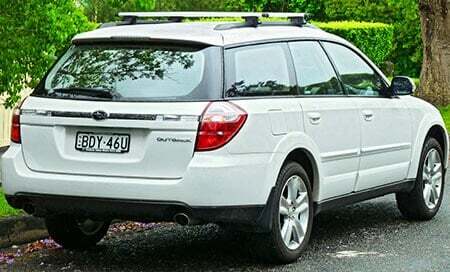 To make your Outback even more adventure-ready, Outback owner Wes Siler suggests investing in better-quality all-terrain tires and skid plates to protect the car’s vulnerable underside. 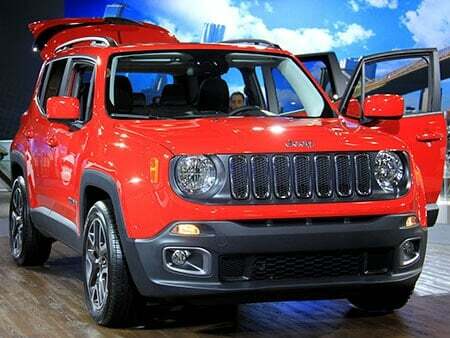 We have to admit that the Jeep Renegade 4×4 looks a little goofy. Its curvy chassis is at odds with its classic Jeep grille, and its X-shaped taillights are just odd. Nevertheless, the Renegade is a great car for outdoorsy people who don’t want to go full-bore with a Wrangler. Look at the Trailhawk Renegade, which has skid plates, tow hooks, electronic roll mitigation, Hill Descent Control and Hill Start Assist. “I had initially dismissed the Trailhawk as a poser, too dainty for the dirt and not rugged enough to haul anything heavier than a double venti minty soy latte,” writes car critic Charles Fleming. “But the longer I drove it, the more I liked it,” he says, as the Renegade held its own on steep backcountry roads. When Nissan stopped making the Xterra in 2015, a few tears streaked down off-roading enthusiasts’ muddy faces. 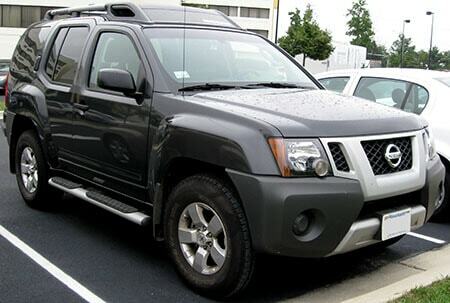 While it was big, clunky and a fuel hog, the Xterra was one tough mother. The Pro-4X model is still considered one of the best adventure vehicles, with an electronic locking rear differential, hill-start assist and hill-descent control, shock absorbers, skid plates, off-road driving lights and roof rack crossbars. Inside, the Xterra featured wipe-clean surfaces, cargo boxes, cleats for tying down gear and even a first-aid kit. You can find a 2015 Xterra Pro-X with low miles for between $25,000 and $30,000. Luxury inside, toughness on the outside: the Land Rover Discovery Sport is one of the best outdoor vehicles for people who like a little comfort in inhospitable terrain. “In fact, if there’s one complaint that we had with the Discovery, it’s that it made everything from driving on solid ice to descending steep, slush-filled tracks on the side of an ancient volcano feel easy,” Outside magazine’s tester says. A third-row seat is available, too, although reviewers say it’s better for kids than adults. 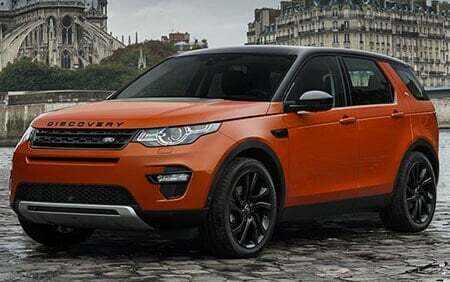 We have some bad news, though: the Discovery Sport, while the most affordable Land Rover model, is still going to set you back around $38,000 for the base model. Whichever adventure car you choose, make sure you get car insurance that’s ready for adventure too. Get multiple free quotes in minutes on Compare.com, then pick the right insurance for you.